The source of a spike in dangerous fungal eye infections linked by federal health officials to a contact lens solution sold by Bausch & Lomb Inc. remains a mystery, the eye-care products maker said Wednesday. "As far as speculation about theories, there's a lot of them, we've run a lot of them to ground and come up with nothing," the company's chief executive, Ron Zarella, said in a conference call with analysts. "Every additional test we've run suggests that the formulation is as safe and effective as anything on the market and in particular with regard to Fusarium." The company halted U.S. shipments of its ReNu with MoistureLoc contact lens solution Monday night while the Centers for Disease Control and Prevention investigates 109 reports of infection caused by a fungus called Fusarium in patients in 17 states. The agency has made no direct link between ReNu and the infections, traced back to June 2005, but a high incidence of the affected people had used the solution. Bausch & Lomb, which also makes contact lenses, ophthalmic drugs and vision-correction surgical instruments, stopped short of pulling the brand, made at its factory in Greenville, South Carolina, but merchants led by Wal-Mart Stores Inc. began removing it from store shelves Tuesday. Fusarium is commonly found in plant material and soil in tropical and subtropical regions. 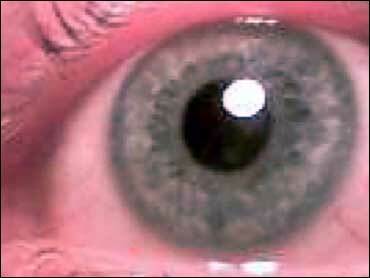 Without eye-drop treatment, which can last two to three months, the infection can scar the cornea and blind its victims. Bausch & Lomb had already been grappling with accounting troubles in recent months, and Zarrella said the company was unlikely to meet an April 30 deadline to file its annual report for 2005. "I know you're all anxious to see that done and believe me so am I," he told analysts. "There's nothing more I can say about that today." In March, the company moved to reduce its reported net sales by a combined $9.3 million after an internal investigation determined its South Korean subsidiary engaged in improper sales practices from 2002 to 2005. It also uncovered accounting irregularities at its Brazilian unit in December. In connection with the investigations, several class-action lawsuits were filed against the company last month alleging insider trading. In February, Bausch & Lomb stopped shipments of ReNu in Singapore and Hong Kong after a similar spike in fungal infections was reported in contact-lens wearers there. It is partnering with health authorities and researchers to investigate the extent and cause of the outbreak, which also surfaced in Malaysia. More than 30 million Americans wear contact lenses, and the ReNu brand generated $45 million in U.S. sales last year.